Blue Springs Homestay offers exclusive polo accommodation for gap year polo students and players of all levels keen to live, learn and play New Zealand polo in the stunning surrounds of North Canterbury. Modern, well appointed and most importantly, just a short stroll from Blue Springs polo playing field and stables, accommodation guests can immerse themselves in the exhilarating and fun world of Kiwi polo. As the owner of Blue Springs Polo School, Mark Donald welcomes gap year polo enthusiasts into his spacious home that overlooks the immaculate polo playing field, and is just a stone throw from the extensive Blue Springs polo and equestrian facilities. The homestay style accommodation offers gap year guests a private double bedroom with separate bathroom and use of all in-house amenities. All meals are also included. Sunny and spacious, the home boasts lovely views of the surrounding rural countryside, stables and polo field, while the open-plan design creates a friendly, relaxing ambience. There are plenty of indoor spaces for guests to luxuriate in some private ‘down-time’ or enjoy the company of other polo enthusiasts. 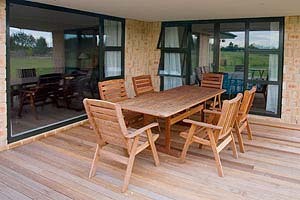 During summer the shaded outdoor balcony area is a favourite spot to sit, relax and talk polo. Often you will find polo players and students relaxing on the balcony with a refreshing cool drink after an afternoon of polo tuition or friendly chukkas as they discuss game techniques. After a hard day of competitive polo playing or a gruelling training session with Mark, accommodation guests can unwind the mind and body with an indulgent spa! The outdoor spa is a wonderful place to enjoy some star gazing on a balmy summer evening. If you are serious about polo and improving your game during your gap year, the team at Blue Springs Polo School offers a safe and enjoyable environment to help students and players gain the necessary skills, technique and experience to help take their polo to the next level. 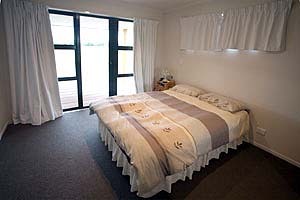 Blues Springs Homestay is a wonderful place to enjoy your gap year polo in a professional, friendly polo home, however Mark also encourages gap year visitors to take time out to enjoy New Zealand life away from polo! Mark, local players and students are always keen to suggest some terrific Canterbury and South Island locations, attractions and activities that need to be experienced before international guests leave New Zealand! For further information regarding Blue Springs Polo School accommodation please complete the relevant information via our Contact Us page to enable a prompt response.